As spring comes back to Europe, one of the worlds biggest tourist spots is looking forward to be discovered. With popular travel destinations such as Istanbul, Antalya and Cappadocia, Turkey is a cheap and beautiful spot for tourists. There are many ways to find out more about a country and culture; and one of them is through movies. Turkey is also famous with their films, and film production companies in Turkey produce over 100 movies every year. 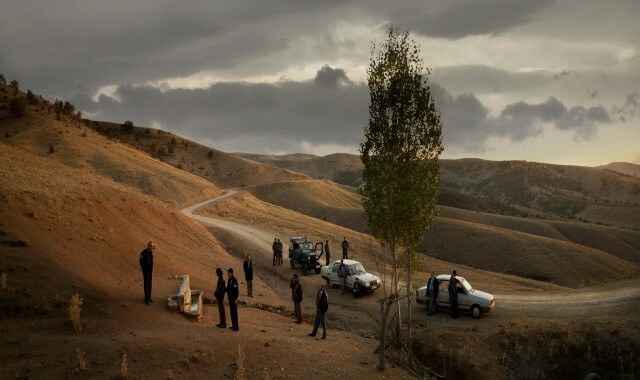 The film revolves around a small group men’s search of a dead body in the Anatolian plains. The hunt starts at dusk, the murder suspect, Kenan, leads other men, police officers, soldiers, prosecutor, doctor, and grave diggers, to the burial place which he couldn’t remember. Throughout night and the following day, we see them go one place to another, during this time we see the legal and social hierarchy in Turkish Culture. The tensions between the police and the suspect, the prosecutor and the police are remarkably presented in the film. Unlike his previous silent moody films, Ceylan made a dialog driven film with a stellar all-male cast. “Once Upon a Time in Anatolia” received a Grand Prix award in 2011 Cannes Film Festival. The director of the film, Nuri Bilge Ceylan, is one of the most prolific film directors in Turkey. His other films are, Three Monkeys (2008), The Winter Sleep (2014) and Wild Pear Tree (2018). After the military coup in 1980, an imprisoned reporter Sadik, returns to his hometown with his son, Deniz, to start a new life for him. Sadik’s father, Huseyin and his son never been met before, because of Sadik’s left-wing political views, which opposed Huseyin’s. Despite all of the issues with his father, Sadik wants his son to live with his grandparents, because he had fallen sick during his time in prison and dying. In this melodrama we witness Huseyin’s bonding with his grandson who has a vivid imagination. In Deniz’s imagines his grandfather as his comic book heroes, this helps to connect with his recently acquainted grandfather. “My Father and My Son” is one of the highest grossing film of the 2005 in Turkey. Cagan Irmak is the film s director. He also directed “My Grandfather’s People” (2011) which also has the Cetin Tekindor who plays Huseyin. Following his release from prison, Baran the Bandit, starts a hunt to find his best friend, Berfo, who betrayed him and the love of his life Keje. 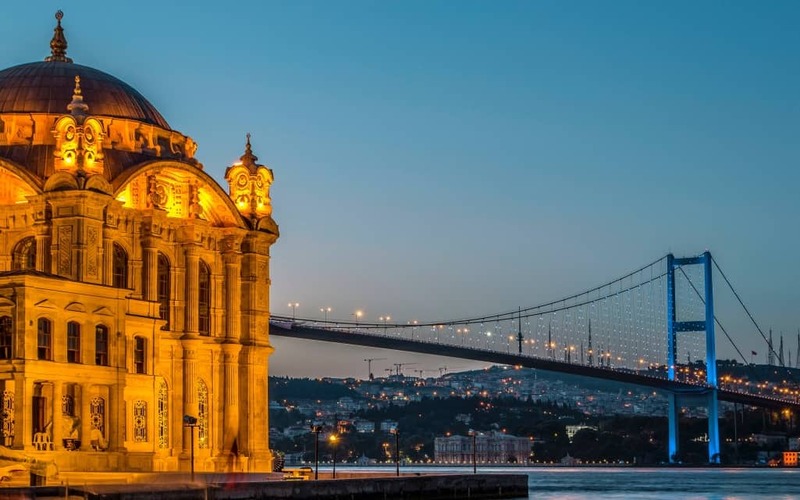 The search starts with his hometown and continues to Istanbul. On his train ride to Istanbul, he meets with a young guy, Cumali and with Cumali’s help Baran carries on the quest to find Berfo and Keje. During Baran and Cumali’s journey, the audience witnesses the slums and people of Istanbul. With magical elements of Yavuz Turgul’s writing and directorial style, we can more focus on the morality of the Bandit, Baran. The Bandit is a very important film in Turkish cinema because single-handedly jump-started failing film industry. His other films are, Mr. Muhsin (1987), The Shadow Play (1993), Hunting Season (2010), which are also starred Sener Sen, who plays Baran in The Bandit. The film follows five prisoners’, who were on a temporary leave from prison, struggle with the world outside and their encounters with people who left behind. Seyit Ali travels back home to end her betrayed wife’s life in the name of honour. Mehmet Salih, who is in prison for bank heist and wants to run away with his wife, who was kept away from him by her parents. Another prisoner Ömer wants to go back to his town which is in the Turkish-Syrian border and go across the border. Mevlut who wants to spend his free time with his fiancée but he couldn’t because of his parents pressure. Yusuf couldn’t even leave the prison because he lost his papers. “The Road” has a bitter look of Turkey, its people and the display for the authorities. The film was banned because of its harsh, negative look. The films production was also very harsh. Before the filming started, Yilmaz Guney, who is the screenwriter and supposed to direct the film, was arrested. Then he hired his friend Serif Goren to direct his film. Later Guney managed to escape to Switzerland to edit the film. Subsequently, Guney attended the 1982 Cannes Film Festival and won the Palm o’Dor prize. “The Road” one of the only two Palm o’Dor winning film, the other one being “The Winter Sleep” which was directed by Nuri Bilge Ceylan. Vizontele is about a small southeastern Turkish town’s introduction to television in mid-1970s. The state officials just drops the required broadcasting equipment the first television set and leaves the town. Ended up the local kooky radio repairmen Emin and the mayor to set up the antennas start the tv working. Entertaining look of the rural southeast of Turkey also has a touch of drama and criticism of the Turkish government of the 70s. Written, directed by a writer/comedian Yılmaz Erdogan who is also the star of the movie. “Vizontele” is the highest grossing movie of 2001 in Turkey and also has a sequel, Vizontele Tuuba which was released in 2004. Yilmaz Erdogan also directed Magic Carpet Ride (2005) which is another fun movie with nice-polished look of Istanbul, especially the old city. Crossing the Bridge is a documentary about the musicians and the sound of Istanbul. The film’s presenter German musician Alexander Hacke encounters with range on musicians, from street performers, rockers, punks, gypsy-folk musicians to Turkey’s most famous perfomers, such as Duman and Sezen Aksu. Crossing the Bridge is directed by German-Turkish film director, Fatih Akın who recognized with his smashing film “Head-On” in 2004.